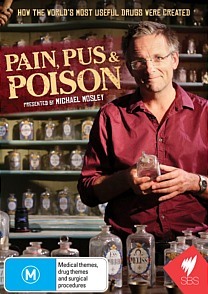 I remember hearing a colleague at work talk about this new TV series on SBS entitled Pain, Pus and Poison which left me quite intrigued. As my colleague explained, it was a documentary series about how a variety of the world's most important drugs were created for pain relief and some by chance. 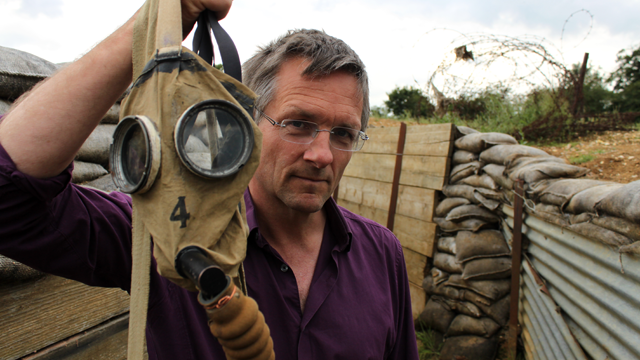 Presented by Michael Mosley, he takes the viewer on a very interesting journey through history about how mankind treated a plethora of ills which most would seem quite barbaric from today's standards. As Michael helps explain the various scientific and sometimes not so scientific breakthroughs, he even tests some of these methods on himself which left me gobsmacked but this is what Pain, Pus and Poison is all about.. the unexpected discoveries. This collection also features all three episodes aptly titled Pain (Episode 1), Pus (Episode 2) and Poison (Episode 3). The first episode focuses on the brain, natural medicine and man made medicine as it targets particular parts of the body. 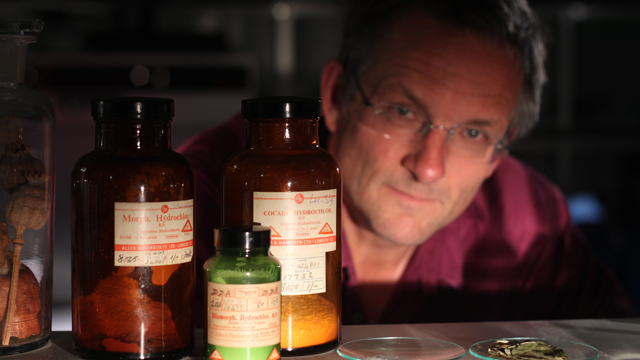 Episode 2, Pus focuses on the deadly contagions that have spread through the world like the Black Death or the Flu and how scientist continue to be challenged by these deadly viruses. The last episode, Poison focuses on how deadly poisons may hold the cure to some of the worlds deadliest illnesses like brain cancer with the poison scorpion maybe holding the future cure. As we follow Michael on this evolutionary journey of medicine, we learn how the common aspirin tablet was created to the most influential discovery of all time, the creation of antibiotics which has lead millions of people from around the globe being saved. It was also the forefathers of chemistry who should also be thanked such as German pharmacologist Friedrich Serturner who discovered morphine from opium and even tested these drugs on himself.